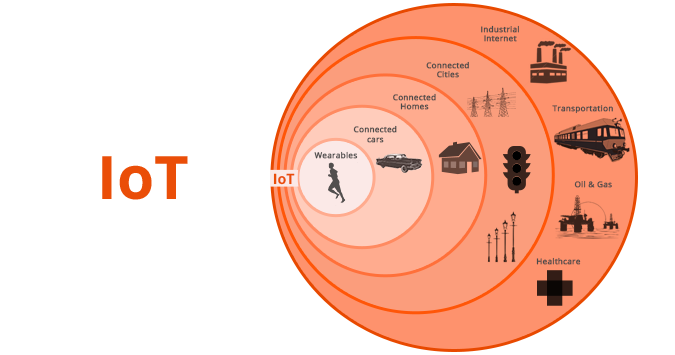 Next Revolution of the internet world…..INTERNET of THINGS(IoT) !!! The internet of things (IoT) is the inter networking of physical gadgets,buildings,vehicles and different things embedded with electronics, software’s, actuators,sensors and networks that enables these objects to collect and data transformation. It allows objects which has to be sensed and remotely controlled across existing network systems.Creates chances to have direct integration of the physical world into computer-based systems and results to have great accuracy,efficiency and economic benefits. When IoT is augmented with sensors and actuators, the technology becomes an instance of the more general class of cyber-physical systems, which also encompasses technologies such as smart grids, smart homes, intelligent transportation and smart cities. Every objects can be unique identifiable through its embedded computing system but able to inter operate within the existing network infrastructure. Cloud Platform as the base of your IoT competency and its process also using the same. The level of expectation in real time is built-in stream and transform the data as it arrives with Cloud Data flow, a unified programming model for both batch and streaming data sources. In real time, If occurred any complex events, triggers, and thresholds you define then can be taken action against on it immediately. According to a technology research,there will be nearly 20.8 billion devices on the internet of things by 2020. IoT software platforms will become the rage, displacing the hardware.Hype on high-tech wearable,cool new sensors and new wireless technologies.In upcoming years we could see the increased focus on the software and specifically cloud services to make all sensors to get connected,data uploads and insights generation which enable business improvements. IoT products applications can be classified broadly into five different categories:smart city,smart wearable,smart home,smart enterprise and smart environment.The IoT solutions and products for these markets platform have different characteristics in Environmental monitoring,Media,Manufacturing,Energy management,Healthcare and Medical,Building and home automation,Metropolitan scale deployments and Transportation,,Consumer application.